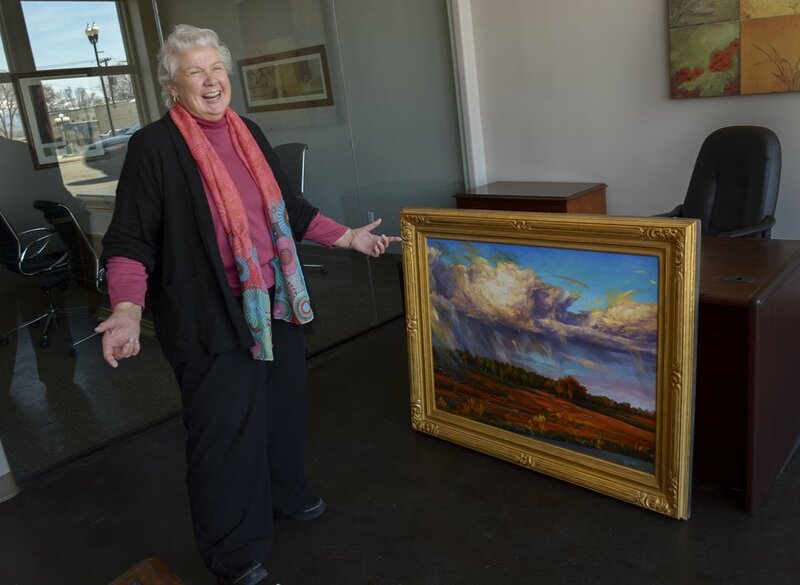 (Leah Hogsten | The Salt Lake Tribune) Judith Mehr says she was stunned when police officers contacted her to tell her one of her two stolen paintings — “Thundercloud Upheaval at Dove Creek” in the background — had been recovered. The December heist may not have been as high-tech as “The Thomas Crown Affair” or “Ocean’s Eleven,” but it was clearly well-planned. One or more burglars, armed with drills, entered the secured hallway of the Artesian Springs Apartments in Millcreek from the multilevel parking garage in the middle of the night. The target? Storage units that line up outside the various apartments. First, the thieves punched holes around the dead bolts to disable the lock and gain access to the closets. A couple of the units were empty, but one contained several unexpected treasures worth thousands of dollars. So they hauled off the booty, some of it large and hefty. On Dec. 15, Mehr, a professional artist, hosted a dinner party for friends, and needed to retrieve several folding chairs from her nearby locker. Two days later, however, when she went to return them, she discovered the broken lock and break-in. Both were framed, heavy and tough to carry, she says, and together were assessed at $20,000. Art, after all, is her life. After earning a degree in art from Brigham Young University in the early 1970s, Mehr has made her living as a painter and an illustrator. 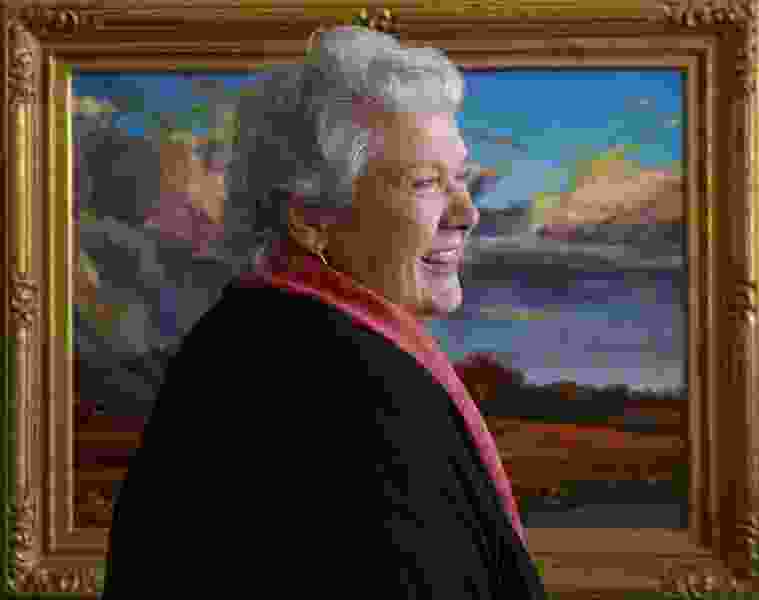 Starting in 1978 and continuing through the early 2000s, Mehr was commissioned by The Church of Jesus Christ of Latter-day Saints to produce works such as the giant mural in the faith’s Family History Library on West Temple titled, “The Eternal Family Through Christ.” She also painted portraits of church Presidents Spencer W. Kimball, Howard W. Hunter and Gordon B. Hinckley that hang in the adjacent Church History Museum, and provided numerous illustrations for Latter-day Saint magazines. Naturally, she was distraught by the December theft. Enter Unified Police Detective Jordan Schmidt. The patient police officer took down all the information about the stolen art, titles and size and advised Mehr to keep checking with pawnshops, Craigslist and other potential outlets for pilfered canvases. But Schmidt could not be too encouraging. Investigating property theft can be daunting, and goods are rarely recovered. Meanwhile, Cottonwood Heights Detective Kenyon Kawa was looking into a different case — a stolen wedding ring. And he had a lead on a suspect, who tipsters thought might have it. Before the officer could question the man, though, the suspect was shot to death by a Murray homeowner during an apparent attempted burglary. Undeterred in looking for the ring, Kawa reached out to the dead man’s relatives, who let him into the suspect’s apartment more than a half-hour away from where he died. Spying no jewelry in the apartment’s main space, the officer stepped into the man’s bedroom. He turned it over and spied Mehr’s name, the “Thundercloud” title and its assessed value. At the end of the two caper movies, [spoiler alert] both Thomas Crown and Danny Ocean get away with their crimes, though Crown does return the stolen masterpieces before jetting out of sight. (Photo courtesy of Judith Mehr) Judith Mehr's painting "Water Protectors at Standing Rock Dec 6, 2016” was stolen and is still missing. In this Utah case of purloined paintings, both Schmidt and Kawa hope life does not imitate art. As long as “Standing Rock” is at large, they want to catch the thief or thieves — not necessarily the same as the deceased suspect — and return the “baby” to its creator. The detective, who found the missing wedding ring in Texas, remains undaunted.